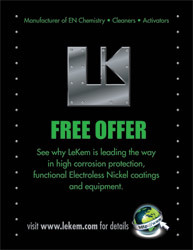 ONE **FREE make-up and one metal turn of any of our EN products. Simply fill out the below form (* required fields). Once you submit your info you will be taken to our reference section that has 5 testimonials from our satisfied customers!!! ** Restrictions may apply and shipping is not included.